“This will not help me get a festival, this is potentially borderline unprofessional, nothing is inaccessible. Put the beat down and show it, I beat down opponents and deep down they know it”. Here we have a brand new video from South Australian MC Prime, filmed in collaboration with Faded Lane Studios, a local community art gallery, recording space and more.The new video, released a moment back now is the first in an on-going series. If you ever wanted to kick off something like this in style, the man Prime is your perfect choice. Aside from the insane bars, for us the video raised some interesting thoughts surrounding the issue of where & how we rank and rate Hip Hop lyricists in this country. The Hip Hop and rap community have always rallied around a sense of authenticity and the ideals of keeping it real. Their ability to share knowledge, stories and ideas throughout the community is unrivalled. The basis of these principals rely heavily on, but are not limited to a few important aspects; Vocabulary, style and flow. 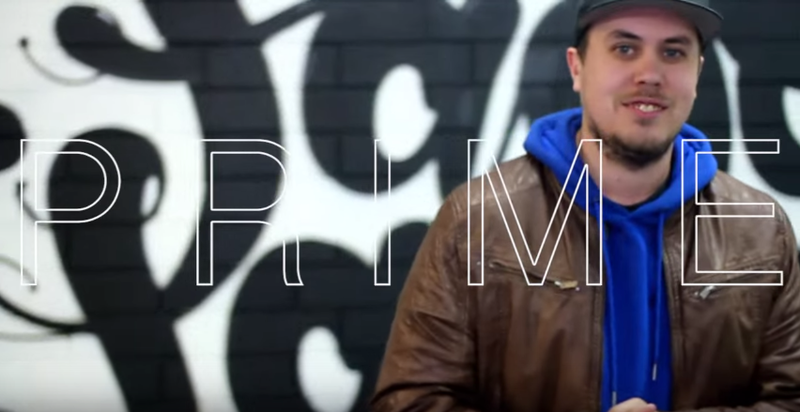 Prime excels in all of these areas, and this new video is a Pri.. perfect example of an emcee entering his peak. The international market is in a similar situation, although it is a few years ahead of Australia, the patterns are familiar. Hip Hop is currently the cool kid at school, and rappers of various styles and backgrounds are entering the game by the 100’s. These are rappers who may or may not have been directly inspired by the legends. Younger cats are no longer rapping about classic themes and ideals conveyed in work of years gone by. Now they rap about watermelons, popular culture and take away food. Which is fine, we dig a good watermelon every now and then. The issue is that a lot of these new school rappers are bringing a pretty basic rapping style to the table. Rhyming one word syllables, and dropping very little if to no wordplay. Let us be clear, not all new school heads are like this, but there is a solid seam of artists poppin’ up that are. This type of rapping, has almost come about in parallel with the rise in popularity of artists chasing national radio play or those festival spots. Consumers attitudes have also changed. Commercially, complex lyrics and that classic hip hop style has taken a back seat to electronic inspired beats and swag. Listeners have become bored with a consistent barrage of lyrics and endless bars. Dialectrix raised similar issues back when he was promoting his album The Cold Light Of Day. He worked tirelessly to get to his skills polished, but soon realised he faced changing attitudes and the emergence of a younger market. So what does that mean for the purists? Will we continue to see the dumbing down of hip hop in favour of a more commercial sound? Or will we eventually see a favourable return to the classic sounds and elements we all fell in love with at the very beginning? We must remember that change is inevitable, but tradition is almost forever. Many of us are starting to see a revolt and a return to the more closely held beliefs about the hip hop genre. The much talked about Iggy Azalea, is now feeling the full force of an outraged hip hop community that’s had enough. Last week, heads were up in arms that Melle Mel, Kool Moe Dee & Grandmaster Caz appeared in a Macklemore video. Many crucifying these artists for selling out. You could look at it like this instead ‘finally… someone like Macklemore is recognising the artists that inspired and influenced so many that have come after the fact’. How many other popular artists do you see putting up Gradmaster Caz, these days? None. Locally, we are now starting to see a higher quality emergence of new school artists. Artist’s that are not only inspired by the classics but who are also inspired by further exploration and creativity. Hopefully, they can proudly carry on the traditions we hold dear, whilst still pushing the boundaries and limits of their art. With new school crews on the come up like The R.E.A.L. Music Family and 90sRD, together with the solid and almost relentless underground labels like Pang Productions, the future looks bright on all fronts. You can keep up to date with Prime here. Be sure to pick up his most recent album ‘The Sweetest Victory Of All‘, which was released late last year. The second instalment of Faded Lane Studios Guest Verse Series has just dropped and features Dunks from Charlie. Check it out here.